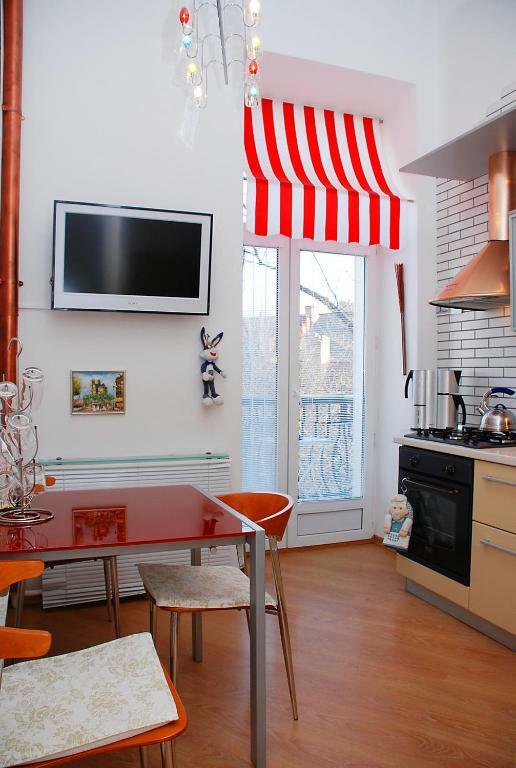 Large apartment on 18a Michokosvky with fully equipped kitchen and Russian style apartment. Everything was clean though the furniture and mattress was a bit dated. Perfect location near Landscape Alley, parks and main destinations, nice host.Thank you Dimitri 😁Our plan is to come Kiev and stay same house.Our home in Kiev.. Fantastic apartment - spacious, clean, comfortable, well supplied with plenty of fresh towels and kitchen essentials and fantastic value for money. Location is superb: - 3 mins walk to St Sophia's, and easy access to all of the other main sights of Kiev. It was also lovely and quiet. There is also a mini supermarket directly outside for milk, beer and other basic essentials. Convenient location, spacious apartment, very quiet. The apartment was very nice. The location was really good. I also loved that there was a store to buy groceries across the street. The apartment was great, it was minutes away from the main square and from loads of good bars and restaurants, however it was extremely quiet at night. The facilities were excellent the host was really easy to deal with and we had a fabulous time. Понравилось месторасположение,тихий двор,200 метров до Майдана Независимости,рядом магазины и супермаркет. Квартира больше чем на фото ! Персонал всегда отвечал на звонки ! Попросил дополнительные обогреватели (был с детьми) и без проблем принесли . Огромная благодарность Николаю ( если не путаю имя ) который заселял нас и принёс обогреватель . Замечательный человек!!!! Оставил ему чаевые 30 уе . Обязательно вернусь ещё Всем рекомендую !!! Квартира в центральній частині міста, в тихому дворику, вхід з вулиці Софіївської. Кодовий замок. Квартира простора, світла, великі кімнати, висока стеля. В кожній кімнаті, включаючи кухню, є плазма. Простора вітальня, великий диван-куточок. У спальні містка шафа, хороший вибір рушників і постільної білизни, велике зручне ліжко. Достатньо обладнана усім необхідним кухня, двокамерний холодильник, є кавоварка, мікрохвильовка, тостер, хлібопічка. Досить тепла квартира. Ванна і туалет об'єднані, велика ванна. Нас зустріли, виселення було о 5 ранку, віддали ключі і все. 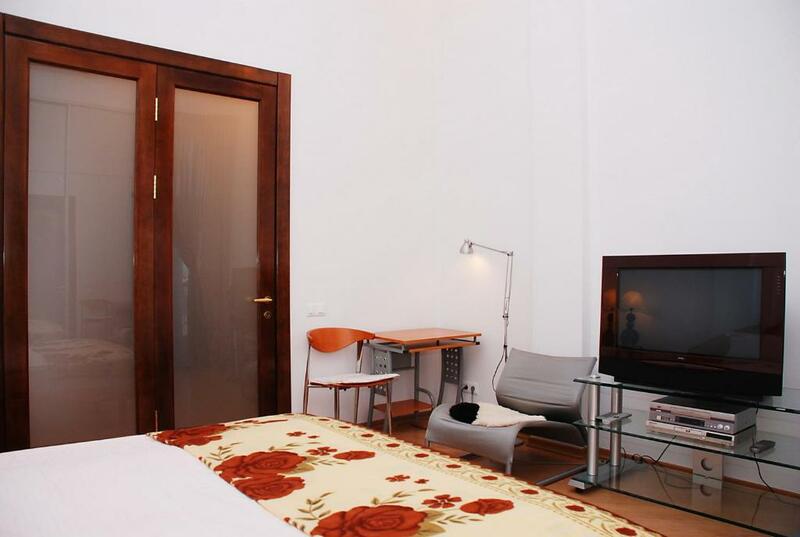 Lock in a great price for Apartment on Volodymyrska 19A – rated 8.6 by recent guests! Featuring city views, Apartment on Volodymyrska 19A provides accommodations with a balcony and a coffee machine, around a 9-minute walk from Andriyivski Uzviz. Housed in a building dating from 1956, this apartment has free WiFi. 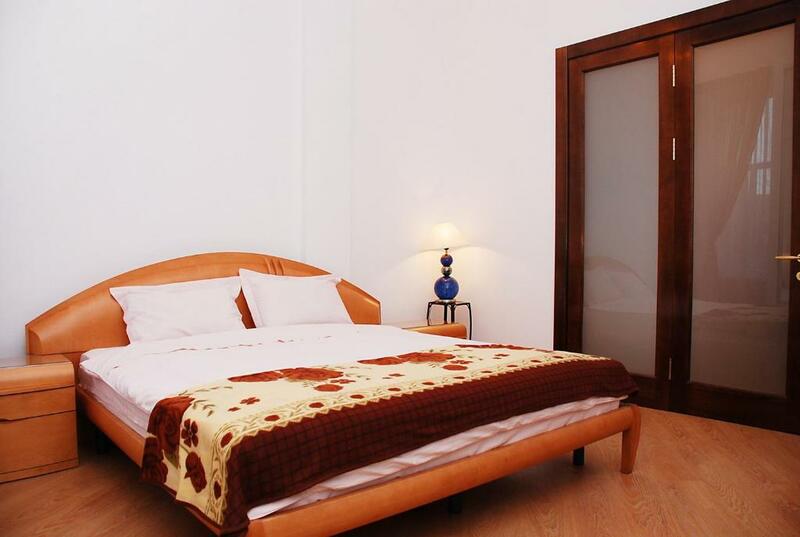 The apartment has 1 bedroom and 1 bathroom with a bath, a shower and free toiletries. 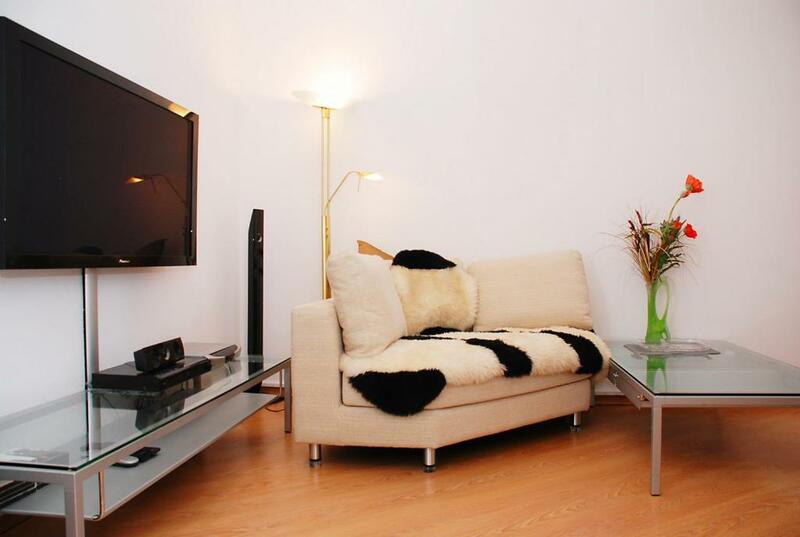 A flat-screen TV with satellite channels is offered. Speaking English and Russian at the reception, staff are always on hand to help. The apartment has a playground. There's a shared lounge at this property and guests can go hiking nearby. Saint Sophia Cathedral is 0.7 miles from Apartment on Volodymyrska 19A, while Shevchenko Park is a 16-minute walk from the property. 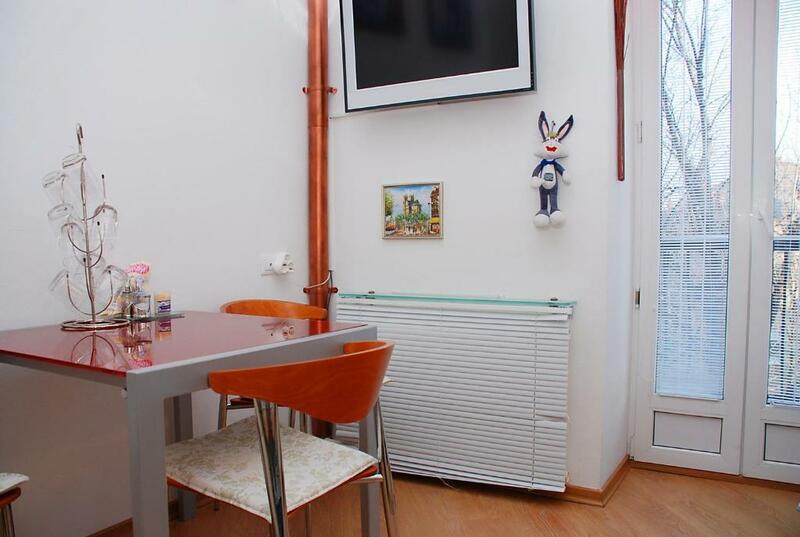 뀐 Located in the top-rated area in Kiev, this property has an excellent location score of 9.6! When would you like to stay at Apartment on Volodymyrska 19A? Квартира расположена в центре города. Рядом развитая инфраструктура,рестораны,кафе,бары,магазины,банки,достопримечательности нашего города и многое другое! 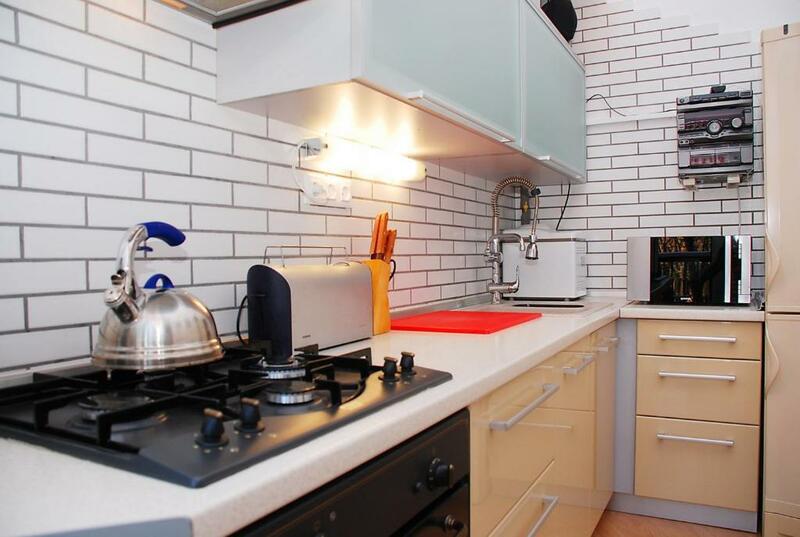 House Rules Apartment on Volodymyrska 19A takes special requests – add in the next step! Apartment on Volodymyrska 19A accepts these cards and reserves the right to temporarily hold an amount prior to arrival. Please inform Apartment on Volodymyrska 19A of your expected arrival time in advance. You can use the Special Requests box when booking, or contact the property directly using the contact details in your confirmation. Bedlinen was not 100% clean but still ok. Owner unresponsive. Wrote to notify will arrive 9-10 am. No response. When arrive at apt. no one there. Had to text owner. Someone not speaking English finally showed up. Owner then text to say check in is 1pm. Had to leave luggage 2 blocks away. Promised luggage will be at apt. at 1pm. 1pm someone showed up with no luggage and said apt. not ready, have to give me another apt. at lower price. Walked back 2 blocks to get luggage and go to new apt. Wasted half a day! Communication with Tatiana was a little erratic, but our airport pick up was waiting for us and Yuri's ability to speak English was essential as we were met and shown to the apartment by a dear old man who spoke no English. Without the pre-arranged airport pick-up I think getting the keys could have been very difficult. We also had to pay in USD (luckily we had some) as he wanted payment on arrival and we had yet to get any local currency. Take eye shades for sleeping as there are not proper curtains in the bedroom to stop the light waking you up at 5am! Some deficiencies in maintenance. Washing machine not working and it took a couple of days to get it fixed. Drapes were falling down in the bedroom and required a tall ladder to access for repair. Host saw the problem and said it would be fixed. I asked 2 times and still drapes were never fixed. I used a chair to partially prop up the drapes during my stay. In my view these things should have been looked into and taken care of before I even arrived for my stay. Excellent location. Nice large apartment. It wasn't the property that we had seen on the web . The owner doesn't speak English and her English speaking staff was a bit tough but got the job done. They did switch apartments on me the day I arrived which was worrisome as I was looking specifically for this location to attend a conference at the Hyatt. With a meter of snow, I had to walk 7 minutes every day which was OK but I fell a few times because of the walk up Michaelovsky street. 1) Communication: the number on b.com was answered by a person who doesn't speak English. It was difficult to finally get to speak with someone who could communicate in English. 2) Cleanliness: please ask the property to take all the towels and most of the bed sheets and put them in the rubbish bin. We struggled to find clean ones. They are all worn out and yellow, brown or black stained (I took pictures). Maybe they are 'clean' but it is not nice to dry up with such towels after a long trip. 3) Value for money: OK the flat is very big but the price is nearly double what we normally pay per night for a similar level of comfort and location. 4) Location: Although the flat is very close to Maidan it is quite difficult to find it as it is not on the main road where you have to meet the keys guy. 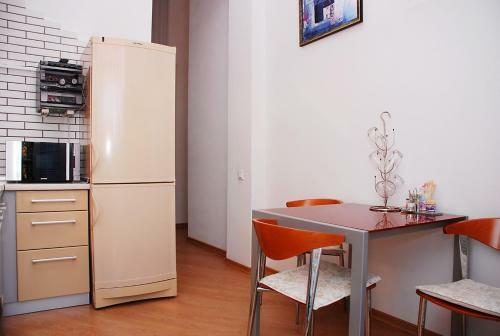 Massive one bedroom apartment close to Maidan. Apartment description includes free parking, however this is literally not possible, as streets are very busy in this part of the city. The only solution offered by Host was to use paid parking. Furniture and appliances in the apartment are quite old. I did not like that one one ever responded to my airport pick up. Also. wi-fi was not working that great. Every time I emailed the property manager I never received a reply.